NEW! This lazy pair will sleep absolutely anywhere!! And they would love to chill out in your home for the holidays!! 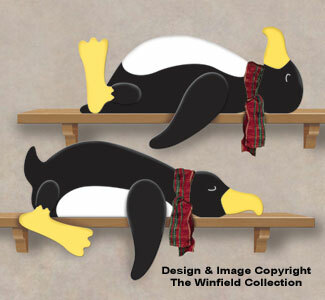 assembly diagrams and painting details to make our lazy penguins.